Apple will release new 5-inch and 5.8-inch iPhones with curved, bezel-free designs next year, according to Barclays Research analysts Blayne Curtis, Christopher Hemmelgarn, Thomas O'Malley, and Jerry Zhang. The analysts, citing sources within Apple's supply chain following a trip to Asia this week, said the borderless design will allow for the new iPhones to be the same overall size as current 4.7-inch and 5.5-inch models. Larger and Bezel-less - iPhone 8 design didn't sound 100% locked down but we believe the move is to a bezel-less design with screen sizes getting larger and curved edges in the original envelope. The iPhone 8 moves to 5" (from 4.7") and the Plus moves to 5.8" (from 5.5"). In a research note obtained by MacRumors, the analysts said only the 5.8-inch model will use OLED display technology, which can be sharper, brighter, and more energy efficient than LCD technology. Apple's primary OLED suppliers are said to be Samsung and LG, joined by Foxconn-owned Sharp by 2018. The research note corroborates KGI Securities analyst Ming-Chi Kuo, who in March said Apple will launch a 5.8-inch iPhone with a curved OLED display and glass casing next year. 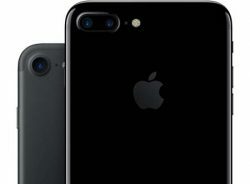 Japanese website Nikkei said the larger-screened iPhone will be a premium model, positioned alongside 4.7-inch and 5-inch iPhones with LCD displays. It has been widely rumored Apple will achieve a bezel-free design by removing the iconic Home button on the next iPhone. Barclays, however, does not believe the Home button will move to an in-screen solution. It does expect the screen will "extend vertically as well as horizontally," but exactly how remains to be seen. Ugh. Sounds like once again the people that don't like phablet sized phones will get shortchanged on technology. I'd personally prefer a 4.7" display in a smaller form over a larger display in the same form. Move to 4.5" in roughly the same form as SE (with 1334×750) and let that replace both the 4" and 4.7" models going forward. Then make the larger one a more pocketable and manageable 5.5" plus model. This allows two models to replace three and sets an inch between them, differentiating them nicely. Happy my iPhone 6 is still alive and running well, but will be stoked to get a new phone next year. Glad I skipped the current generation. That's all fine and good but I'm still waiting for another modern 4" iPhone. I just don't prefer the phablets or two-handed phones. If they can grow the screen size without the form factor, I am totally in. However, I don't want anything bigger in my hand. the 4.7 form factor is about as big as I can handle. If it doesn't have a headphone jack, it'll be another joke of a phone. Looooool. Off you pop to Android then. "Joke of a phone." You make me laff. I really don't understand why anyone would think Apple is breaking away from their tick/tock cycle. Next year will debut the iPhone 7S and 7S Plus if history has taught us anything. Is there any real reason to believe otherwise? Genuinely curious if anyone has a legitimate reason. Not bigger 'screens'; Smaller 'handsets'.